Managers or a Specialists in logistics, transport, forwarding, manufacturing, production, distribution or commercial networks? Do you want to learn more about one of the most Customer Obsessed organization in the world? 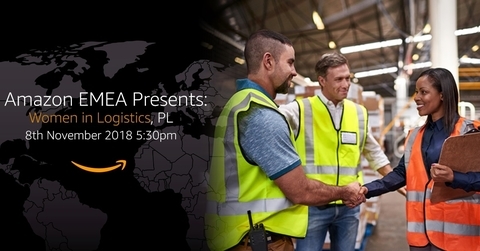 We are inviting you to attend an exclusive virtual Women in Logistics event for Poland and learn more about Amazon Operations. Find out what opportunities we have in store for you!